As 2015 comes to a close, we find ourselves right in the heart of the health insurance season. We know it can be a stressful time of year. The holidays are ending, we go back to school and work, and the winter ambiance is finally starting to set in. We hope you have had a chance to spend time with family and friends over this holiday season and wish you many more happy years to come. Part of enjoying those many years and great moments together is staying healthy. That is where we can help! If you or your family is still looking for health insurance or for a more affordable plan, we can assist you in that process. Being covered is a necessity to keep you and your family healthy, but why should it be stressful too? Health insurance – like any field – can be complicated because it comes with all of its own terminology and legislation that can make it confusing. We are here to explain what you need to know and assure you that you get the best policy that fits your needs and for the best price. We are contracted with many local and national carriers so we can shop around and help you along the way. If you are looking to change policies, we can certainly help you there too. What a great time to do it too! A new policy for the new year. 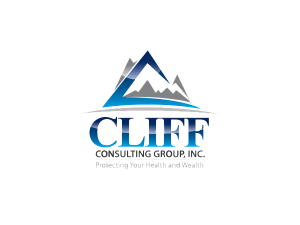 Get in touch with us with any questions or concerns at (920) 268-1888 or browse plans on our website and Get a Quote Here. All of us at the Cliff Consulting Group team wish you and your families happy holidays and a happy new year!